Our Coaches and Athletes in Huntington! 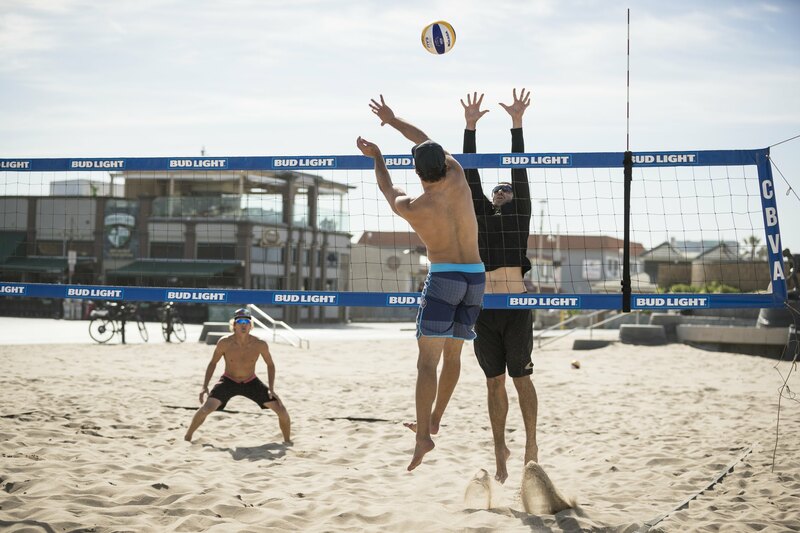 It is the first AVP of the year, and an FIVB 4-star event at that! Click here to read Travis Mewhirter’s take on favorite teams and contenders (through Volleyballmag.com). But we want to talk about our coaches and athletes who have trained with us. They might not be favorites, but we have some fresh faces and could not be more excited! Coaches Miles Evans and Bill Kolinske (seeded 27th) will play together as usual. As they did not sign the AVP contract, they do not play in non-FIVB AVP events. They slipped under most radars, but beat teams such as Stafford Slick and Casey Patterson. Coach Spencer Sauter will play with veteran Adam Roberts (seeded 36th). This should be a good blocker/defender and veteran/youth combination. Coach and VolleyCamp Hermosa founder Mark Burik is returning from a back injury and will play with Curt Toppel (seeded 37th). The duo achieved as high as a 5th place AVP finish (Manhattan Beach Open, 2015), so this partnership is not a new one. Last but not least Coach Andrew Dentler will play with Raffe Paulis (seeded 38th). And while they’re not our coaches, everyone’s favorite beard brothers are seeded 40th. In the Qualifier, coach Jeff Samuels will play with Ian Satterfield (seeded 19th). Coach Kyle Stevenson will play with Nathan Yang (seeded 28th). There are a few athletes who train with us who will compete, which is perhaps what we are most excited about! Torin Jeffreys will play with Shawn Ledig (seeded 36th), and California newcomer Jake Urrutia will play with Tom Kohler (seeded 30th). On the women’s side, coach Kerri Schuh will play in the qualifier with Jessica Sykora (seeded 6th). Another California newcomer, Bailey Bars, will play with Valinda Roche (seeded 24th). We couldn’t be more excited to cheer on not only our coaches, but athletes who are currently working to get to that main draw level! Check out the schedule here!